We are a a local plumbing company in Capistrano Beach, CA. We specialize in trenchless pipe repair. Brinks Plumbing, Pipelining and leak detection since 1979 serves Homeowners and HOA's along with commercial businesses. Our acrylic bathtub and shower liners are custom made to fit perfectly over your existing unit, making us the perfect solution for your one-day bathroom remodel. When your tub days are over, convert to an extra-large, easy access shower. Call us TODAY to schedule your free estimate! Zazzara Plumbing is a plumbing contractor / plumber serving the Murrieta, CA area since 2000. Services include Plumbing, Emergency Service, Burst Pipe, Piping, Gas Piping, Toilet Repair, Faucet Repair, Sink Plumbing, Bathtub Plumbing, Shower Plumbing, Dishwasher Plumbing, Washing Machine, Water Heater, Commercial Plumbing, Sump Pump and Sewer Repair. Bill Metzger Plumbing in San Clemente has been serving the people of San Clemente with the highest quality plumbing service since 1960. Bill Metzger Plumbing of San Clemente has an earned an A+ rating with the Orange County Better Business Bureau. Bill Metzger Plumbing is also the recommended plumber for San Clemente by Best Plumbers®. History Established in 1960. Bill Metzger Plumbing in San Clemente has been serving the people of Orange County with the highest quality plumbing service since 1960. Over the last 50 years, and 3 generations of plumbing in Orange County, we have learned what our customers expect in a good plumber. We have earned an A+ rating with the Orange County BBB and are the recommended plumber for San Clemente by Best Plumbers®. Xtreme Drainworks provides drain cleaning, hydro jetting , sewer inspections with camera and smoke testing only in San Diego County, we are experts clearing and cleaning drains whether is an emergency call or preventive maintenance we have all the rite tools to get that drain cleared fast. We provide weekend drain service, holiday drain service and every day service with a smile. So if your drain suddenly clogged give us a call and one of our friendly technicians will make that drain flow again. Spahr Plumbing, Inc. has been servicing and repairing some of the most complex plumbing systems and fixtures in San Diego for over 25 years. No job is too big, too small, or too complicated. At Spahr Plumbing, we have the experience and integrity to perform your plumbing repairs the right way. We don’t cut corners, but we also don’t sell you any services or materials that you don’t need. Is your shower or faucet dripping continuously, does your toilet keep running, is your water heater leaking? Give us a call and we can help. Maybe it is something more involved. Contact Spahr Plumbing today for all your plumbing repair needs, including slab leaks, leak detection, water pressure regulators, re-piping, gas pipe repair and replacement, water heaters and garbage disposals. We have decades of experience working with customers, architects and within the permitting process and we can often spot potential roadblocks before anyone else. We know how to get the job done right, within your budget and timeline. Contact Spahr Plumbing today for more information about New Construction Plumbing Services. Established in 1944, Emory Plumbing and Heat has serviced San Diego for all plumbing and heating needs. We are a family owned and operated company that takes pride in our services. We carefully select the best plumbing and heating technicians for our company, who are not only extremely qualified, but also share the same principles and standards that we value and expect. We guarantee and stand by our work, no matter how big or how small the job may be. Our professional and friendly office staff and field technicians have the expertise to get the job done right the first time. We strive to work as quickly and efficiently as possible, because we know that a happy customer is a customer for life. Whether you call for a plumbing, heating, or restoration problem, or just to say hello our friendly office staff is there to help resolve any issue you may have. We offer many types of specials from drain specials to repairs so call today to make an appointment! We specialize in Hydro jetting of sewers and drain lines. Hydro jetting is an extremely effective process for removing difficult debris from sewers and drain lines. It is the only process that is truly capable of actually cleaning a sewer or drain line and returning it to as near as new as possible condition. Make sure you check out the video demonstration on our website to give you a clear indication of the power and effectiveness of this process. Matrix Plumbing & Services, Inc is a plumbing contractor / plumber serving the El Cajon, CA area. Services include Plumbing, Commercial Plumbing, Water Damage Restoration, Heating & Air, Emergency Service, Drain Cleaning, Piping, Toilet Repair, Burst Pipe, Faucet Repair, Sink Plumbing, Clogged Drain, Water Heater, Baseboard Heating, Furnace Plumbing, Bathtub Plumbing, Shower Plumbing, Dishwasher Plumbing, Washing Machine and Sump Pump. Serving towns of San Diego, Chula Vista, El Cajon, La Mesa, Spring Valley, National City, Santee, Poway, Lakeside, Ramona, San Ysidro, Imperial Beach, Lemon Grove, Coronado, Bonita, Alpine, Jamul, Descanso, Dulzura, Tecate, Lincoln Acres and Nestor. Integrity Repipe is your local repipe plumber that can repair any leaking pipes any day at any time. We are headquartered in Mission Viejo, 92691, and serve all of Southern California. Integrity Repipe is the best repipe plumbing company near you with highly experienced technicians. Our plumbing and repiping services are very distinct from other similar companies. The owner, Joe Ludlow, has about 30 years installing type L Copper and Uponor Pex systems. He know what to install and how to. Every house and office water line is different. Joe is able to determine what kind of pipe is the best for you. Joe claims is an actual Master Repiper, and that is why his clients trust him. In addition to having the knowledge, experience, and skills on installing pipes properly in residential and commercial buildings, Joe is a drywall and painting union trained level 5 finisher, with more than 40 years of experience. Joe has the knowledge to cut through your walls, properly to inspect the condition and installing pipes. There are plumbing companies that pound through your walls, not knowing well the damage it can cause. Joe trains all of his repipe specialist. He demonstrates how to proper cut the wall, install the pipes and patch up the wall. Once the specialist leaves, there will be not trace that a repipe plumber was in your house. Integrity Repipe services are the focus on repiping, such as: Repiping Repairs Pex Repiping & Repair Copper Repiping Copper Plumbing Repair Leak Plumber Repipe Leak Repair Pin Hole Leak Repair Slab Leak Repair Plumbing Repairs We do repiping in Lake Forest, Laguna Niguel, Irvine, Costa Mesa, Newport Beach, Santa Ana, Orange County, Anaheim, Fullerton, Huntington Beach and other cities in the South California. A few pointers that make Integrity Repipe #1 rated USA Repiping Company is that we do not use subcontractors. The work that is done under our name is by our own plumbers, who are trained to do the work properly. We are also a licensed, bonded, and insured company in California, using materials that are USA made only. 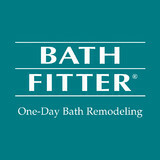 We offer FREE in-home estimates, fast installation, 3-4 day turnaround, 1 day repiping services and in-house patchwork. 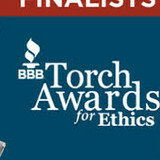 The outcome of our work speaks for itself and through the five star ratings in Yelp and Google. With a lifetime guarantee, lifetime transferable warranty, no pinhole or slab leaks, our repiping company is available to you 24/7. Let Guardian Plumbers give you the assistance you need, 24 hours a day, 7 days a week. The skilled Wildomar plumbers offer to-quality expert services homes and commercial properties throughout Riverside County. All their honest and reliable work is backed by a 100% workmanship guarantee and the company offers 10% discounts to police officers, firefights, first responders, military personnel, teachers, and senior citizens. They only provide affordable process and are fully licensed and insured to provide the highest quality client service to fit your needs, however big or small your project may be. Contact Guardian Plumbers today when you need help. We offer free initial estimates to help you get started.